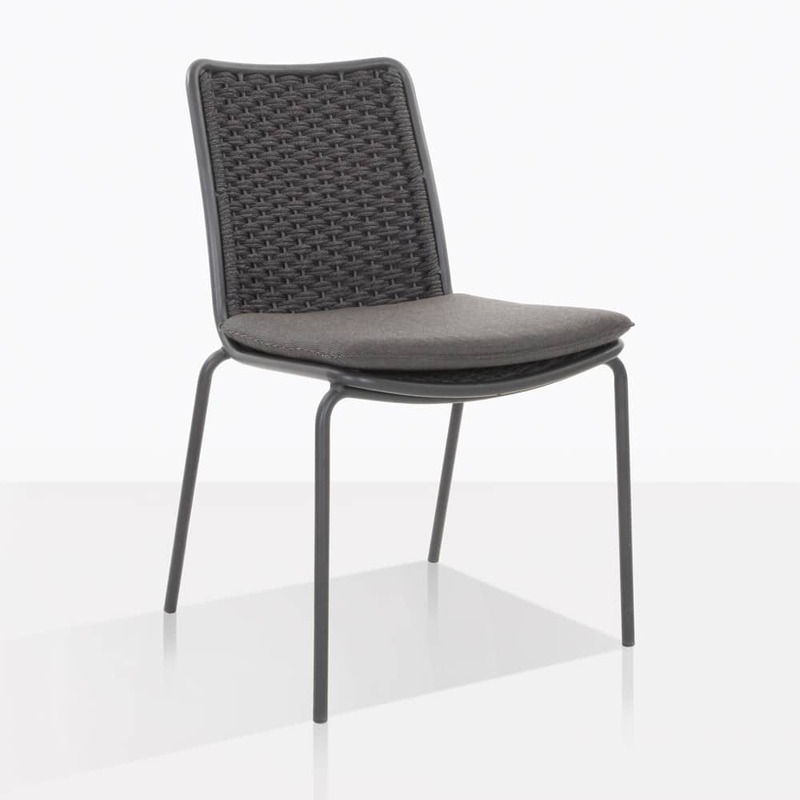 Subtle, yet stunning perfectly describes the Kerri Outdoor Dining Chair. It’s slender and understated silhouette is appealing on its own, but that added with the amazing detail of the woven rope back, makes it the complete package. It has everything you want an outdoor dining chair to be. It’s comfortable, casual, modern and has a smart design. The strong powder-coated aluminium frame is topped with a Sunbrella® seat cushion for extra comfort. The charcoal grey color is versatile and can easily pair with many of our outdoor dining tables. Imagine a six around one of our raw concrete dining tables, it will be modern with just a hint of warmth because of the woven rope seat. It’s perfect for casual family dining or entertaining sophisticated guests. Visit our showroom in Parnell to experience the Kerri Outdoor Dining Chair, and browse our massive showroom full of incredible outdoor furniture.